Events, Parties, Conferences, Trade shows, Holidays, Concerts and more in Nigeria and the Nigerian Diaspora. 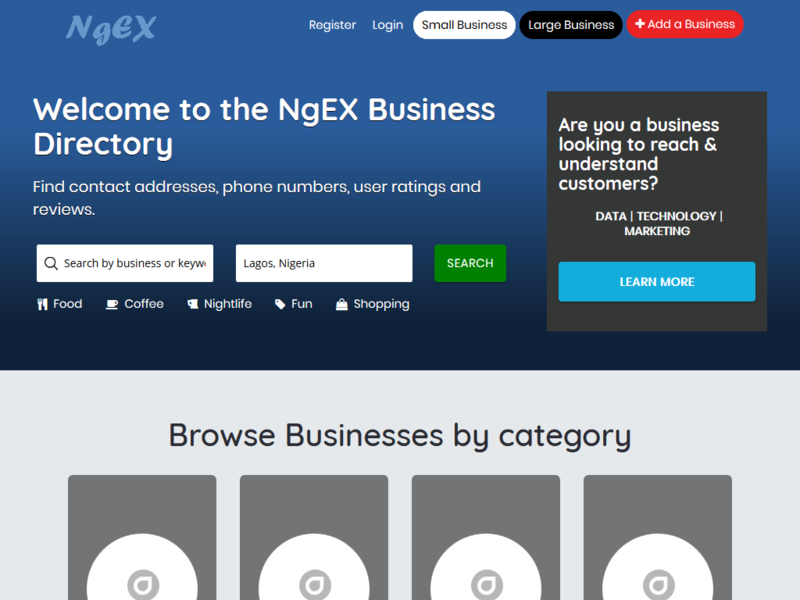 NGEX provides real-time data on events and activities that audiences in Nigeria and the Nigerian Diaspora are interested in. We gather a wide breadth of event information from multiple sources and provide tools that enable you analyze, visualize and discover audiences and insights related to these events. With NGEX Events data you can launch campaigns that combine your marketing criteria with attributes such as gender, age, venue size, location, etc. to reach specific audiences. 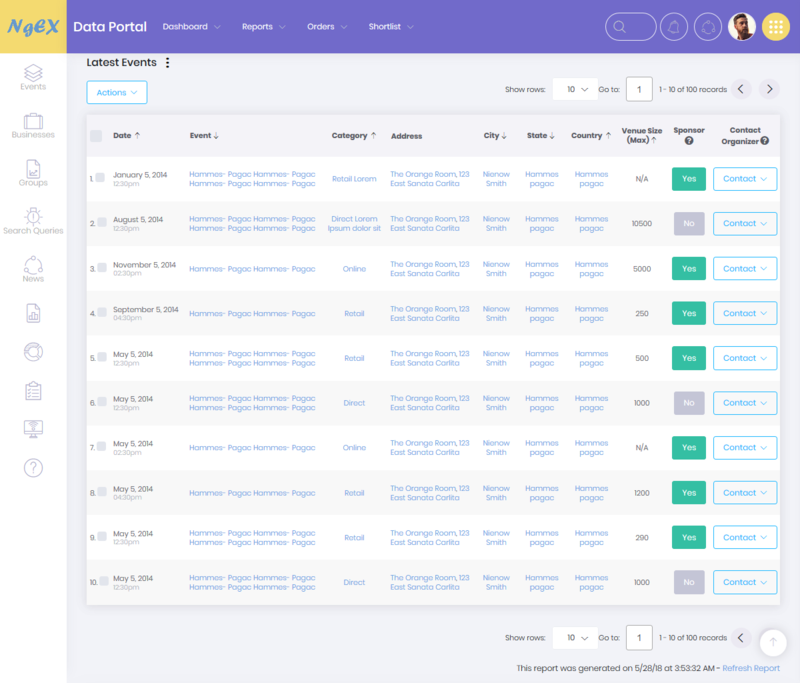 We enable event organizers and promoters submit events to our databases to increase visibilty of the event and attract audiences from all over the world. We also combine this with aggregated data from thousands of online and offline event sources, augment it with local in-house knowledge and information and make it available to consumers and businesses via our platforms and APIs. You can also perform real-time data visualizations that let you quickly identify events performance and evaluate progress toward your goals. Engage directly with event organizers, promoters and influencers. Communicate directly via SMS, Email, WhatsApp or Phone. 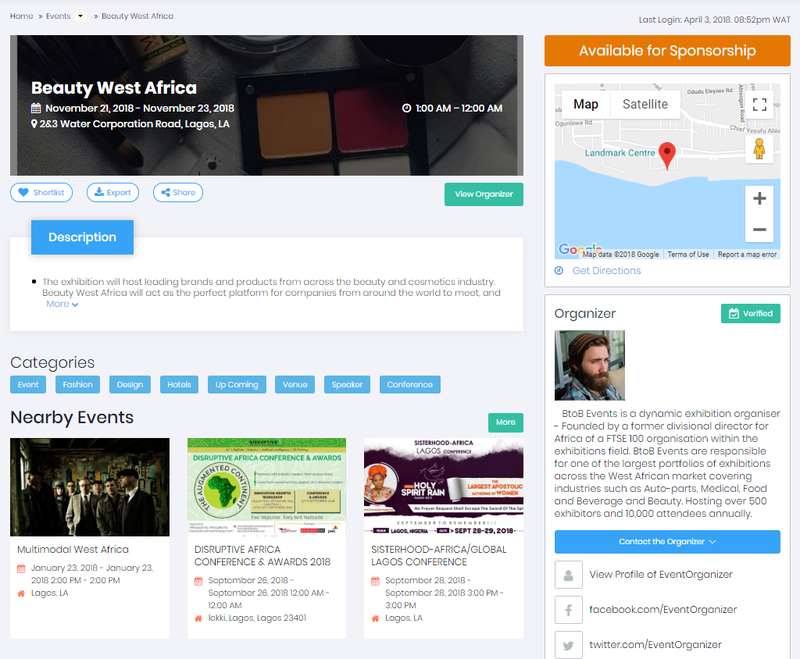 We offer complete information on events and provide integrated tools that enable you identify, segment and communicate directly with event organizers and promoters and help you make informed decisions on sponsorship, promotions or any other areas of interests. nables you to your most valuable audiences and community members. Our tools also enable you shortlist organizers by influence, engagement, location and you can shortlist those you wish to engage and hand the list off to NGEX to follow up on your behalf.